The U.S. health care system is like a gigantic, top-heavy Rube Goldberg machine that should be handed over to the people who run Taco Bell. At least they know how to think outside the bun. Instead, layer upon layer of complex gadgetry keep getting added to the health care machinery. Because it’s such a big money maker, nobody wants to eliminate one function or another to make it simpler. The end result is that the doctor walking into the examination room and investigating your problem is only one itsy-bitsy, teeny-weeny portion of the health care pie. Here’s an idea that strips a lot of that away. A Seattle based medical practice called Qliance, which runs three clinics, charges $65 per month for unlimited access to one of its doctors or nurse practitioners. Patients still have to pay for lab work, but the average person pays the clinic system about $800 per year for primary care coverage. But can you see a doctor at night and on weekends? And can you drop the doc an email for a question or two later? Yes you can, to paraphrase a famous politician. According to a description on the Qliance website, the clinic “is like a health club membership, but for health care. Your membership gives you unrestricted access to your Qliance clinician and services for one monthly fee. “Traditionally, over 40¢ of every $1 you spend on health care goes toward insurance billing and overhead. This means your clinician must work harder and faster, seeing more patients each day just to make ends meet. A recent article by Kaiser Health News describes the case of a 63-year-old man who joined Qliance when it opened in 2007. He pays $79 a month for primary care and couples that with a catastrophic medical plan with a $10,000 deductible, which costs him $225 a month. “The doctors will sit there with you as long as you need them to,” said the patient, who has high blood pressure and Type 2 diabetes. “They don’t rush in and out.” He set up the plan in the nick of time – after he joined he was laid off and lost his health benefits. I could envision a health care system in which primary care clinics like this one pop up all over the country, many of them staffed by physicians assistants or nurse practitioners, overseen by a physician. Clinics might even compete for who can offer the lowest prices. Coupled with that, the federal government could offer one basic, simple catastrophic medical plan with a very high deductible – maybe $10,000 like the case cited in the example, or perhaps even higher, $20,000. This way, people’s primary care needs are covered at a reasonable price and you’re covered in a worst case scenario. Digging out of a $20,000 hole after an illness isn’t pleasant, but it’s a lot better than worrying that you can’t get the surgery or procedures you need because it’s way out of your price range. 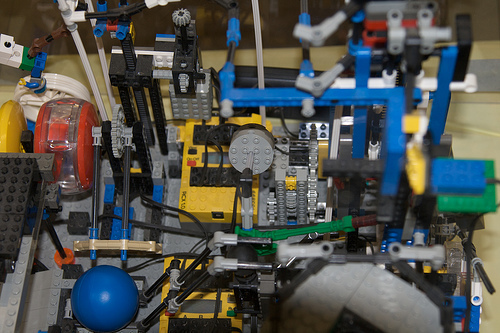 It may not be the ultimate answer to the U.S. health care’s Rube Goldberg machine. It might still price some people out of the market. But it has something going for it that’s pure gold: simplicity. After years of disrespect, will the potato pull off a comeback? It’s not often I get sentimental about food. Yes, there’s a pizza place back in my hometown that brings tears to my eyes when the server delivers the tray to my table. That is the exception and not the rule. But I stumbled upon a study last week about potato consumption among children and was disheartened to learn that the spud has been consistently dissed by the American public over the last decade. 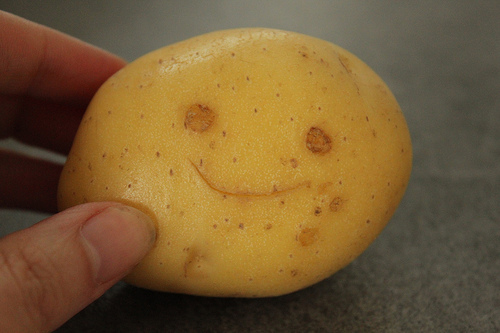 With all the fad low-carb diets making the rounds, potatoes have been viewed with smug disdain. An earlier 2004 survey by the U.S. Potato Board showed that 35 percent of Americans felt potatoes were fattening and lacked the nutritional value of other vegetables. The percentage fell to 18 percent this year, but that’s still one out of five who believe that incorporating potatoes into your diet is a half-baked idea. In the new study, presented last week at the Federation of American Societies for Experimental Biology (FASEB) Conference in Washington, D.C., University of Washington – Seattle researcher Adam Drewnowski looked at meals consumed by 11,500 kids. Some contained white potatoes (not fried) and some did not. He discovered that the lunches with potatoes also had more other vegetables than those that didn’t. OK, to be fair, the study was funded by the Potato Board. But so what? In the research world, that’s dog bites man. I also found the study interesting because I’m a fan of the potato in almost all its forms. I rarely eat fried potatoes, but I often boil them or mash them. I prefer the small red ones you can just rinse off and throw into a pot of boiling water. Serve with fish, chicken, burgers, any main course you have handy. I find butter, sour cream and other types of dressing unnecessary but I do use salt and pepper. Potatoes are cheap, and they are high in potassium, fiber and vitamin C. So really, what’s not to like? They are also easy to grow. I recently interviewed a guy who lives in a fairly dense urban area but grows potatoes in his backyard inside a tire system. Take an old tire, fill it with dirt, then plant your seed potatoes (halved or quartered). As the plants come up, add another tire and more soil. Repeat until you have a stack of tires filled with potatoes. Potatoes are the only food you’re encouraged to play with as a child. Your mother might have said, “Don’t play with your food,” but she exempted the potato. She knew that there was a Mr. Potato Head box sitting on the shelf in your bedroom, awaiting the arrival of a subject potato. I can’t help noting that Mr. Potato Head celebrates his 60th birthday next year. The toy was introduced in August 1952 and cost less than a buck. When is a voucher system not a voucher system? It’s common as toast for politicians to accuse each other of doublespeak and for constituents to accuse their elected officials of doublespeak. It’s standard issue in the political ammunition bag and can be effective since it conjures up images of George Orwell and the nasty society he sketched in his novel 1984. The word came to mind again last week while I was reading about U.S. Rep. Paul Ryan’s budget plan, the one he calls A Roadmap for America’s Future. In the Medicare portion of his plan, Ryan calls for a concept called “premium support,” which, he has said in interviews, is different than a voucher system. Under a premium support system, seniors would get a certain amount of money from the feds which they could then put toward their own private insurance plan. They could add some of their own money to it and get a better policy, but the government’s financial participation would be limited. Sifting through analyses of both the voucher option and premium support, I failed to find any meaningful differences between the two. So, why go through the bother of introducing and explaining new terminology? (See Ryan’s Fox News interview with Chris Wallace.) Because a Medicare voucher system doesn’t poll well with the public. A Pew Research Center survey last September found 52 percent of the public opposed to a Medicare voucher system, with opposition of 69 percent among people 65 and older. Yes, they know they won’t be involved in the new plan. But they apparently don’t like the idea that their children, and their grandchildren, won’t have the same protection in their older years that they have enjoyed. Even 47 percent of Republicans don’t like the voucher concept; 54 percent of Democrats turn thumbs down on the idea along with 52 percent of independents. Correct me if I’m wrong, but this would make the new Ryan Roadmap terminology a classic. Interesting to note, though, that doublespeak is not technically an Orwellian term. The writer never used it in 1984, but did use the concepts of Newspeak and Doublethink. Doublespeak, a blending of the two, popped up in 1950s literature. Newspeak is a language Orwell developed for political propaganda purposes. Doublethink refers to the ability of a person to believe in two contradictory concepts at the same time. It’s a fact of 21st century political life that we have to keep our eyes peeled for this type of thing. We all knew 1984 was a great novel. We just didn’t think that one day it would be used as an instructional guide. While Washington fiddles with its health care policies – nobody seems to know from one day to the next whether there will still be a reform law, or even Medicare services for retirees over the next decade – one alternative idea is getting more and more attention. The medical tourism industry is flourishing, and health care systems in other countries are launching programs to compete for Americans’ health care dollars. Imagine, it takes an organization backed by a foreign government to offer reasonably priced health care and surgical procedures that economically stressed Americans can actually afford. Take a heart valve replacement as one example. The average U.S. cost is $170,000. In India, you can get the same procedure for $3,000, according to the website Medical Tourism. That’s about the price you might pay for the procedure in the United States – if you had Cadillac health insurance and a small deductible. A liver transplant that costs $300,000 in the U.S. runs about $91,000 in Taiwan. More than 50 countries are developing medical tourism and, although you have to do your homework to make sure you’re getting quality care, there are global accreditation standards that will help guide you to the most appropriate program. In general, you can get procedures done for as little as one-fifth of the cost of accessing U.S. medical care. Colombia has become a popular destination for Americans, particularly those interested in plastic surgery or weight loss surgery. But angioplasty, which can cost up to $35,000 in a U.S. facility, can be done in Colombia for $8,000, according to First Care Colombia. Since I live in South Florida, I was interested to learn that the Bahamas is developing its own medical tourism program, rather handy since Freeport is only about 70 miles from West Palm Beach. The Bahamas may even eventually offer care at brand-name facilities and if you’re up for it, you can squeeze in a little beach time while you’re at it. “We propose to negotiate to bring established, world-class health-care brands like the Cleveland or Mayo Clinic to our shores,” said Vernice Walkine, the Bahama’s Ministry of Tourism’s director-general. People who live in the northern tier of states may look to Canada. In the Southwest and West, a better option may be South America, New Zealand, or Asia. It’s true that in the course of doing research on the web, you’ll find some horror stories. But there are U.S. medical horror stories as well. Physicians and surgeons make mistakes everywhere and if you thoroughly investigate your options, I believe that the potential error rate won’t be any higher than it is here. It’s a sad commentary, I realize, that we’ve reached the point where we can no longer rely on our own domestic health care services. We hear again and again that the United States has the greatest, most technologically advanced health care system in the world. That may be true. But that doesn’t do people any good if they can’t afford to use it. 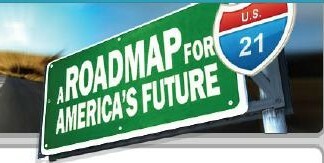 House Republicans are expected to unveil their Medicare recommendations this week in Washington. U.S. Rep. Paul Ryan (R-Wisconsin) favors turning Medicare into a “subsidized” plan in which the elderly would get a specific amount of money and then be turned loose to shop on their own for insurance coverage. The amount of the subsidy would increase with the rate of inflation. Unfortunately health care premiums are experiencing double-digit increases while the federal government’s official inflation rate – which doesn’t include food or fuel – is posted at an unrealistic 1 percent to 2 percent. Guess who will pick up the difference in cost? The system that we have is unaffordable for many people and government shows no real inclination to fix the problem. Instead of seriously debating innovative ideas, our elected representatives act like a bunch of kids having a food fight in a middle school cafeteria. We’ll have to look elsewhere for solutions, and medical tourism is a start. 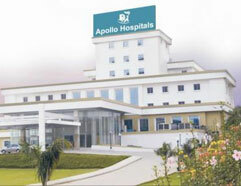 Photo: One of the most popular medical tourism destinations, Apollo Hospitals in India.